The Quakers achieved one of those goals on Sunday, defeating Harvard – on the road – to capture the program’s first Ivy League Tournament title. And with that victory came the chance to accomplish the second one as Penn earned an automatic bid to the NCAA tournament, where it drew a home game against neighbor Drexel in the first round Sunday. 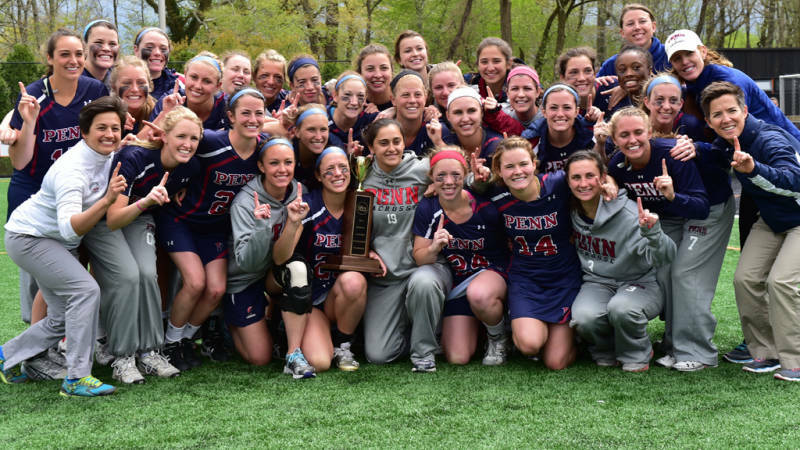 Joining the Quaker men in the postseason will be Penn’s women’s lacrosse team, which won a share of its eighth straight regular-season title (a new record for consecutive women’s lacrosse championships by an Ivy team), claimed its third Ivy tournament title with an NCAA-clinching win over rival Princeton on Sunday (around the same exact time the men’s team won its title) and drew Canisius in the first round of the NCAA tournament on Friday in Maryland. But for the powerhouse Quaker women, who are making their eighth straight trip to the NCAA tournament, this is where they’re expected to be – though it should be said they overcame a fair bit of adversity to get here. Getting to this point is a far more improbable achievement for the Penn men’s team, which is hosting an NCAA tournament game for the first time since 1988 and making just its second trip to the postseason in the last eight years. 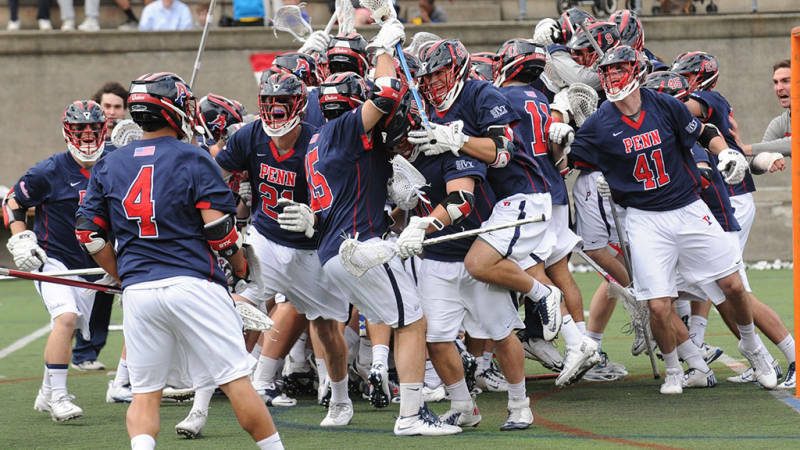 And should the Quakers beat Drexel on Sunday at Franklin Field (3 p.m., ESPNU) and continue their eight-game winning streak, it will mark their first NCAA tourney win since 1988 – and put them into the national quarterfinals. But winning games in the postseason and contending for a national championship is all part of Murphy’s plan – one that now appears to be as realistic as it is ambitious.